The delegation of Yamal will go to Moscow for the sixth international salon of education — 2019 “New ecosystem of education”. According to the information given to a correspondent of the news agency “Sever-Press” in the regional department of education, they will participate in business and exhibition programs, which will be held from the 10th to the 13th of April at VDNKh (the All-Union Exhibition of Achievements of National Economy). The representatives of Yamal will present the exposition “The rural school in the Arctic: the socio-cultural center”. Thus, the federal project “Children of the Arctic: preschool education” will be presented at the venue through work of a nomadic group created in the kindergarten of Yamalskiy district. The group purposefully works on preschool education of tundra children to create equal starting conditions for study at school. 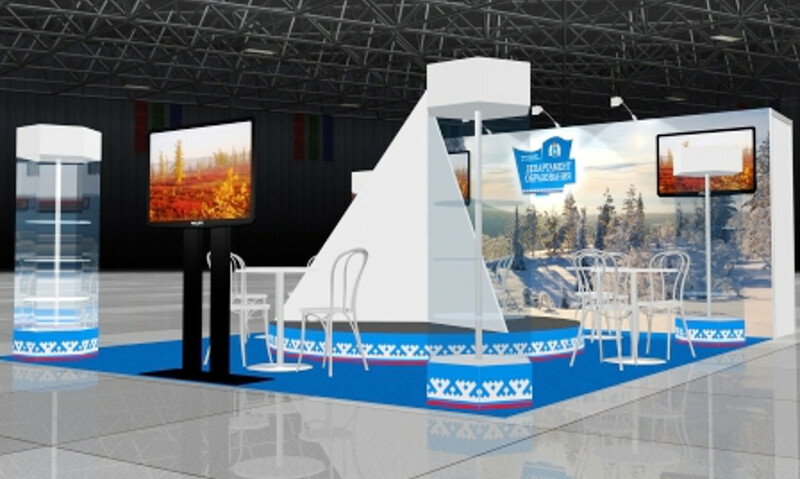 Also experience of functioning of the consultation center in the kindergarten of Nadymskiy district for parents of preschool children leading nomadic lifestyle will be presented at the salon. Visitors will be able to receive expert online consultations. The regional institute of education development will show the experience of teaching and methodological supporting for study by primary schoolchildren of their native language in the interactive form. The presentation of textbooks of Yamal in Nenets and Khanty languages for pupils of the 1st — 4th forms, which were included in the federal list in 2018, will be organized in cooperation with representatives of the publishing house “Prosveschenie”. The children and teachers of the boarding school of the settlement Nyda, Nadymskiy district will present the experience of testing of these textbooks, the work of the cartoon studio and the Russian-Nenets dictionary. The teachers of the boarding school of the settlement Samburg, Purovsky district will demonstrate the features of organizing of vocational education focused on development of agricultural and industrial enterprises of rural areas. Fulfillment of this practice allows raising prestige and demand in professions, including ones in agricultural production — a reindeer herder, a fisherman, a mechanic, a doctor, a pedagogue, a master of arts and crafts and also forms vocational orientation of graduates. The teachers and schoolchildren will hold master classes on weaving adornments and making traditional souvenirs of Yamal, professional lessons of pottery and stained glass craft. The teachers and schoolchildren from Nadymskiy district will present designed robots “Smart library” and will hold a master class on robotics. As it is underlined in the specialized department, every year expositions of the region become larger. The experience of rural schools in the Arctic is unique and has not been presented before. According to the representatives of the department, participation in the salon will provide a good opportunity to share experience and to interact with competent structures at the federal level. The delegation of Yamal has participated in the salon since 2016. This year it includes 32 people — representatives of the department of education of Yamal, the regional institute of education development and municipalities, schoolchildren and the advisor to the governor of Yamal Irina Sidorova. It should be noted that the modern rural school is the educational space that allows a child to develop, provides creative workshops for design activity and additional education, organizing of team and individual work, sports.